Christopher Blevins is one of the brightest stars in American cycling, whether it is in road racing, mountain biking or even cyclocross. When he’s not racing a bicycle, Christopher Blevins is a star student in the classrooms of Cal Poly University in San Luis Obispo, Calif.
Christopher Blevins’ father, Field, was able to serve as the team doctor for Hagens Berman Axeon at the Tour of the Gila road race in April. He was two cars back in the medical car when Blevins won Stage 2 this year. Will Christopher Blevins pick a road cycling career, or will he continue to race his mountain bike? It is one of the biggest questions in American cycling. It’s also a question the 20-year-old from Durango is tired of answering. 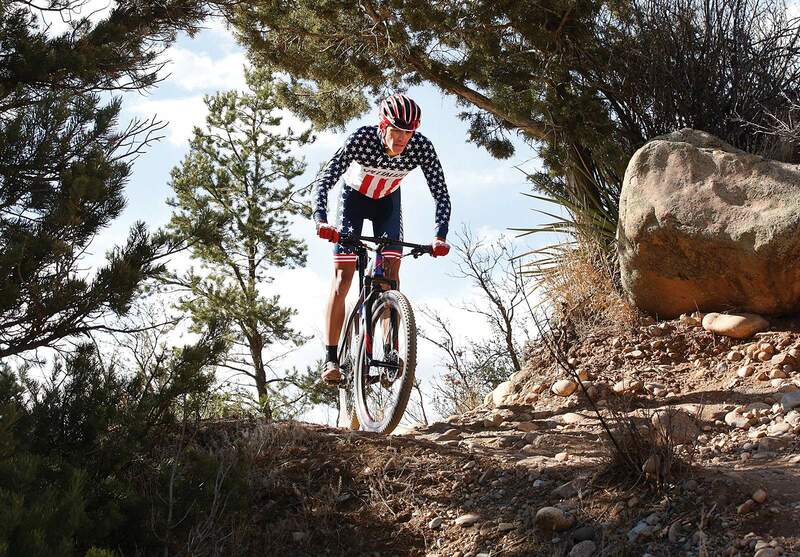 Only two months after his 20th birthday, Blevins is at the forefront of American mountain biking and has posted results in continental road races at which his peers marvel. 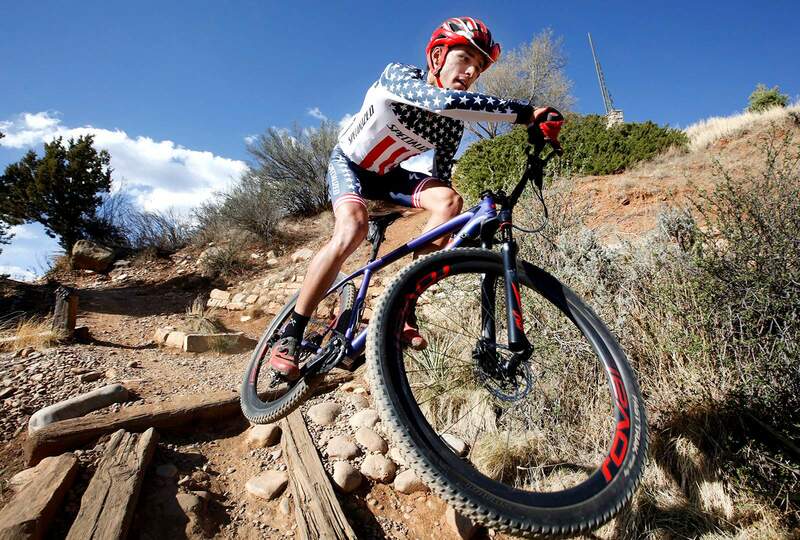 This year, he has won some of the biggest American mountain biking events against elite professional fields. Blevins also won a stage at the Tour of the Gila road race in New Mexico before going on to finish ninth overall and win the green jersey for the best sprinter. Blevins admitted he is much more accustomed to winning polka dot jerseys as a road race’s best climber, but the Gila showed the young phenom’s ever-growing prowess. 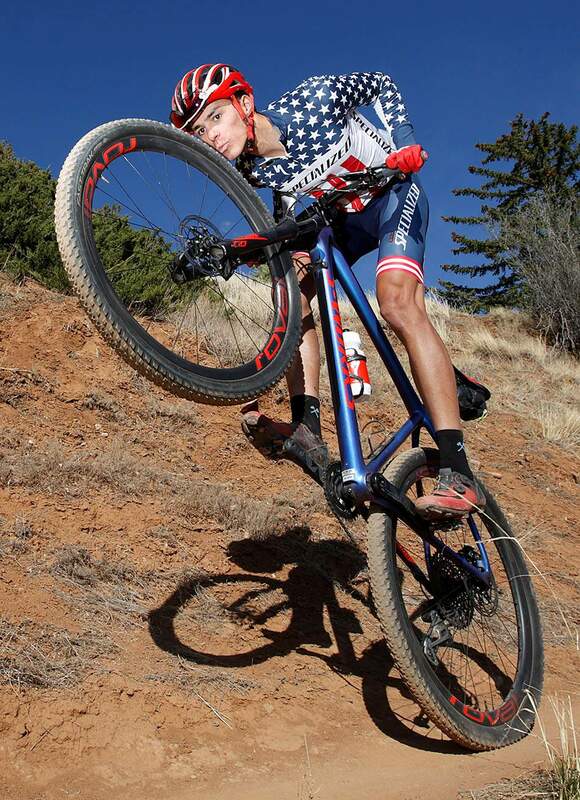 Blevins is the reigning under-23 cross-country mountain bike national champion and added the under-23 cyclocross national title in January, stunning a loaded field. After each big result, the questions facing Blevins intensify. He is unfazed. 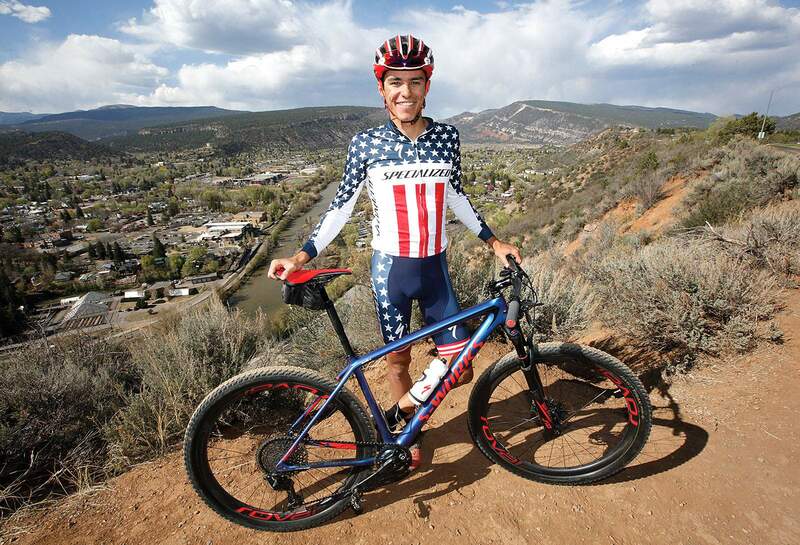 Blevins can thank Durango for growing up with some of the biggest names in the sport, from three-time mountain bike Olympian Todd Wells to his 25-year-old Specialized Racing teammate Howard Grotts, who have both been happy to see Blevins continue on the mountain bike. Blevins’ biking beginningsBlevins was only 2 when he got his first bike from his parents, Field and Priscilla Blevins. He was anxious to keep up with his older sister of two years, Kaylee, who was quick to ditch her training wheels. Blevins took to BMX racing by age 5 and made a name for himself in Durango. He grew up riding mountain and road bikes with the Durango Devo program, but it was the BMX track where he first starred. “There’s never been a time in his life when he didn’t want to be on bikes,” Priscilla said. Crashes are an inherent aspect of cycling, especially in BMX. Blevins always came away with bumps, bruises and scratches, but at age 10, he had a life-altering accident at an event on Father’s Day in Rockford, Illinois. He broke his skull, and it led to complete hearing loss in his left ear. After getting his start in BMX, Durango’s Christopher Blevins is always looking to pull off tricks while riding with supreme style. When Blevins got home to Durango and saw an audiologist, the family got news of his permanent hearing loss. His mother thought it might be the end of her son’s cycling. Over time, Blevins has learned to live with the hearing impairment. He tries to walk on the left side of people so he can hear them with his right ear, and he will try to do the same when riding in a peloton in road races. Sometimes, he admits, he won’t hear a teammate to his left when they try to pass him a water bottle, but he hasn’t let his loss of hearing slow him down. 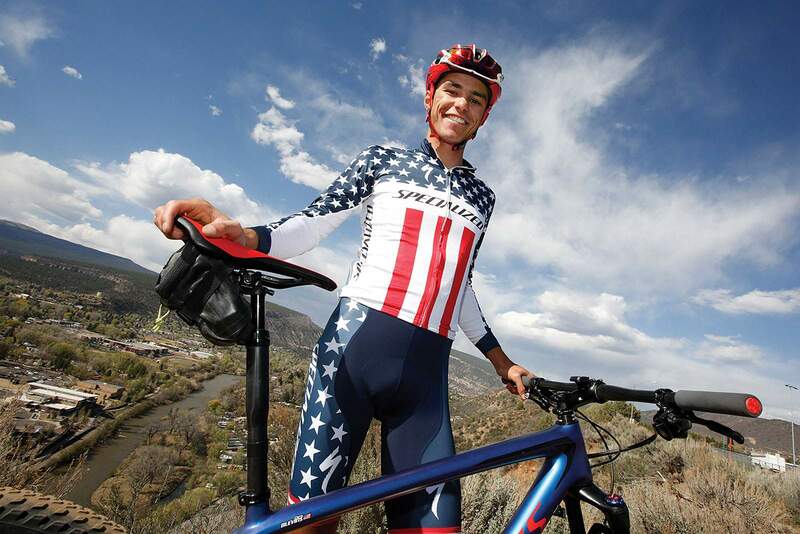 The next time Blevins got on a mountain bike after his BMX crash and rode the Rim Trail around Fort Lewis College in Durango with Devo coach Chad Cheeney, he fell off his bike and broke his wrist. It was a trying time, but less than a year later, he was competing in his first mountain bike national championships in Vermont. Blevins’ boomBy the time Blevins got to Durango High School, he was a rising cycling star. But his first love was basketball, and he played for two years under head coach Alan Batiste before the time requirement on his bikes became too much. While Blevins would make trips to Europe for junior world cup events, he made it a goal to spend as much time in classrooms as possible while largely avoiding online school until his senior year. Christopher Blevins has been doing tricks on a bicycle since he first competed on a BMX bike at age 5. In May 2016, Blevins pulled off two incredible feats in Europe. He won the Courde de la Paix (Peace Race) five-stage road event in the Czech Republic, then backed it up with a second-place result at the Ussel French Cup mountain bike race. A week later, he won an International Cycling Union (UCI) juniors mountain bike race in Albstadt, Germany. Blevins flew back the next day to attend his high school graduation, where he spoke to his class in an unforgettable spoken-word poetry verse. A day after graduation, Blevins toed the start line at the Iron Horse Bicycle Classic road race from Durango to Silverton. He was involved in perhaps the most memorable finish in IHBC history, as he sprinted with Payson McElveen, Ned Overend, Benjamin Sonntag and Wells to the finish line before a horrific crash sent him to the pavement. Blevins picked up his bike and walked across the finish line with blood dripping down his eyebrow. He still has massive scars on his left shoulder from the crash he’d like to forget. ‘A person who happens to race bikes’Beyond cycling, Blevins is an all-around talent. He is passionate about photography and poetry. In April 2017, he produced his own album, “Mile Markers,” a collection of rap and spoken-word poetry. “There’s so many things I want to do beyond bike racing, so much I want to be able to learn and accomplish beyond bikes,” he said. Christopher Blevins is also a musical talent. He produced his own spoken-word poetry rap album “Mile Markers” in April 2017. Thursday, Blevins bought a guitar that he plans to take with him when he leaves Tuesday for a stretch of races in Europe. He is going to teach himself how to play via online instruction. On top of his musical prowess, Blevins is also a strong student at California Polytechnic University in San Luis Obispo, California. The university’s quarter system allows him to take classes September through March to give him more free time during cycling season to focus on racing. He is majoring in business with a minor in sociology. Blevins said if he didn’t grow up in Durango, he likely would have attended Fort Lewis College to be part of its cycling program. But the move to California, much like that of his sister Kaylee, who attends Stanford University and will graduate this summer, has helped him grow. At his young age, Blevins is embracing being a role model. 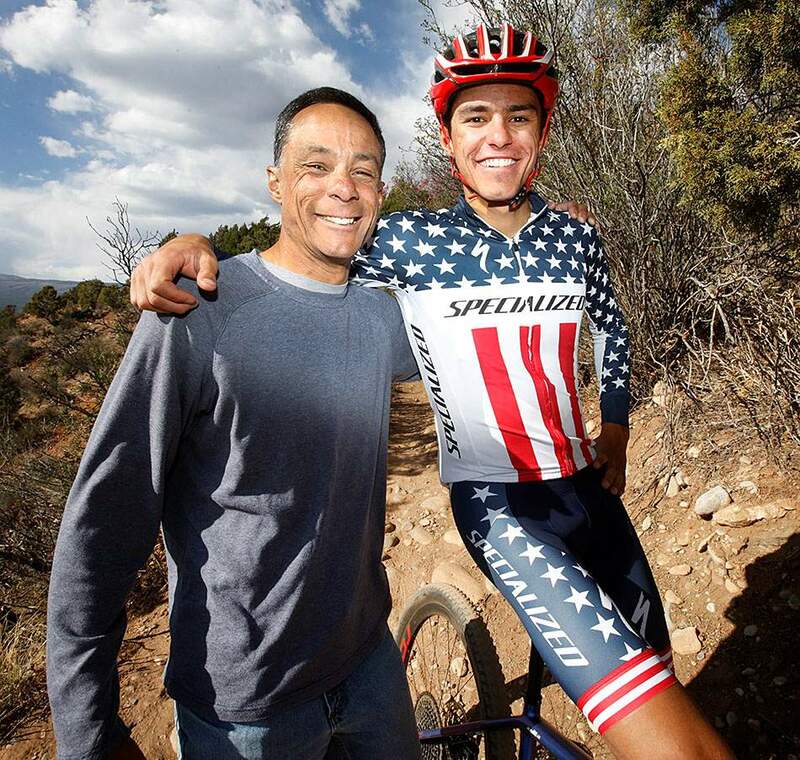 Quinn Simmons, 18, of Durango said he looked to Blevins for advice when he has started to pursue his own road-racing career after years of success on a mountain bike. 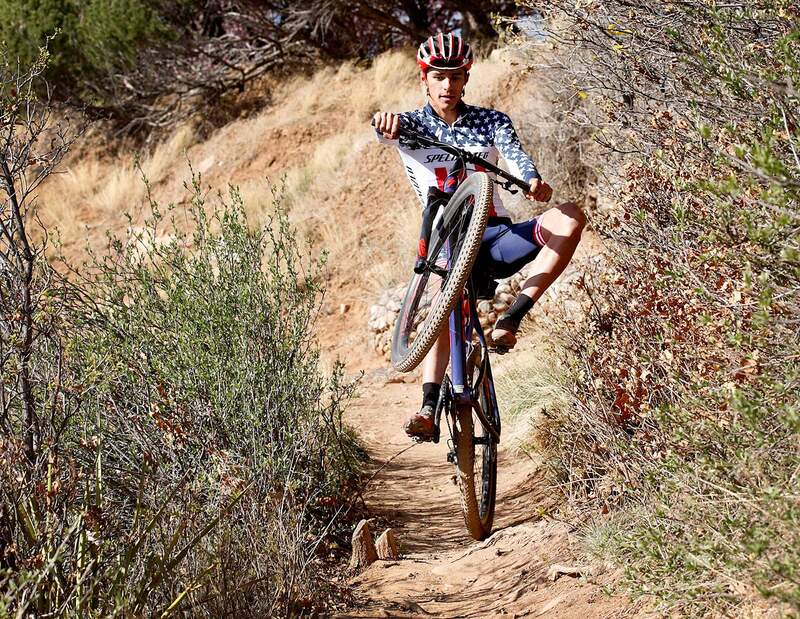 Tokyo is the goalWhile many expected Blevins to turn pro on a road bike by now, Blevins made it clear he is chasing a specific goal, and that’s a spot on the U.S. mountain bike team for the 2020 Summer Olympics in Tokyo. Grotts competed in the 2016 Olympics in Rio de Janeiro. Because of UCI ranking points, the U.S. men were allotted only one spot for men’s mountain biking. For 2016, nations within the top 12 in the UCI rankings could send two riders. For the 2020 cycle, nations must be in the top seven, making the upcoming task extra difficult. But Blevins and Grotts are determined to rack up UCI points when the cycle begins in June. They will need other riders to help gain those points, and Utah’s Keegan Swenson and North Carolina’s Luke Vrouwenvelder are likely those men. Swenson also has the goal of making it to Tokyo. Christopher Blevins credited his surroundings in Durango for helping fuel his love for cycling. From Durango Devo, practice criteriums at Mercy Regional Medical Center to BMX races and the Iron Horse Bicycle Classic, the town has always provided him opportunities to ride. 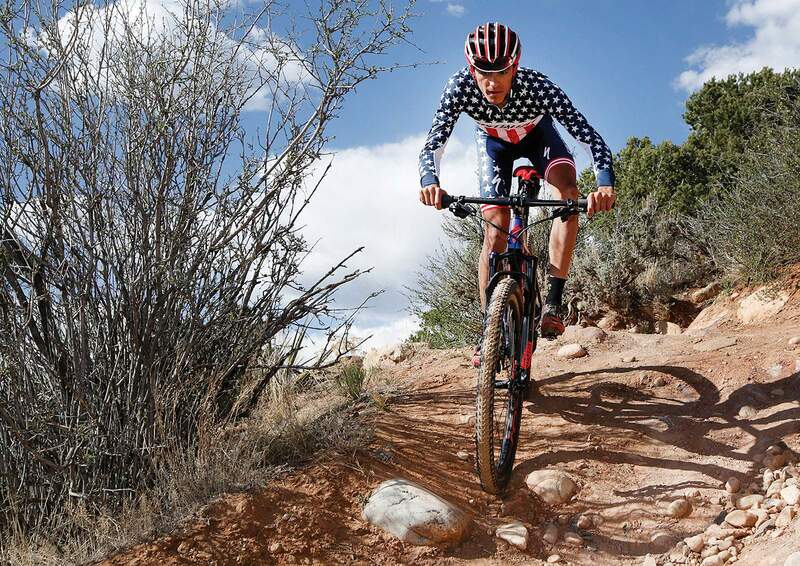 Blevins, who is on the USA Cycling national team, is working with coach Jim Miller, along with Swenson and Specialized Racing teammate Kate Courtney, a close friend of his sister. Blevins, the 22-year-old Courtney and Grotts form a dynamic team with mechanic Brad Copeland, and they are all pushing each other to the best results possible. For them, the best result is for all three to make it to Tokyo.